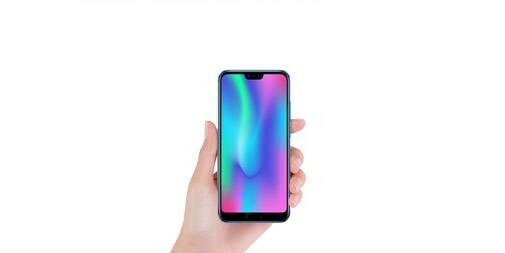 Honor 10 is a notable addition to the list of flagship killer devices. The latest from Honor also boasts a solid pedigree. But does it live up to the expectations? With the recent launch of OnePlus 6 and Vivo X21, the mid-segment smartphone space (Rs 30,000 to Rs 40,000) has witnessed some worthy flagship killer devices. Joining the bandwagon is the 10 from Honor, a company which gave some impressive devices in the past (my favourite being the Honor 8 Pro). Can the Honor 10 continue the success story created by its predecessors? Design: Honor 10 is a stunner. The dazzling 3D glass at the rear has been done in vivid blue that reflects subtle shades of purple at different angles. Referred to as Aurora Glass design, the rear has been made with 15 layers of 3D glass to achieve this reflective effect. It did receive a mixed bag of reactions - while some simply loved the rear, it was a little too jazzy for a few. Side bezels done in matching blue houses an IR sensor at the top, SIM tray on the left, volume and power button on the right and the Type-C charging port along with the speaker grill and audio port at the bottom. The front is dominated by the 5.84-inch screen with a notch, with bezels done in deep black that complements the overall design. Irrespective of the close to the 6-inch display, the Honor 10 feels compact. It is operable using a single hand but only if the rear wasn't so soft and slippery. The camera module at the rear is a little raised, which makes it prone to scratches. At 153 grams, it doesn't feel on the heavier side and has a soft, premium handfeel. Display: The excellent built quality is complemented by the bright display. The 5.84-inch display with notch cut-out dominates the front, leaving a relatively thicker bezel at the bottom as it houses the fingerprint sensor. With 2280 x 1080 pixel resolution, the screen offers crisp text and great colour reproduction, making it ideal for reading, watching videos, gaming and more. The display is legible in both - bright daylight and even under direct office lights. The notch cut-out at the top centre is relatively smaller with a speaker grill, front camera and sensor. While I am comfortable using a display with the notch where the screen extends to the top, there is an option to hide the notch as well. It darkens the surrounding strip, making it appear as a regular status bar. Ultrasonic underglass Fingerprint sensor: Having a fingerprint sensor below the display isn't new but the one on the Honor 10 has been so seamlessly merged into the bottom bezel that I almost thought it didn't have one. When looked closely, I saw a tiny outline of the fingerprint sensor and after a couple of attempts got used to the location of the scanner. The ultrasonic underglass sensor was quick to scan the fingerprint and unlock the phone. However, a little pressure had to be applied in comparison to the regular scanners. It worked even with wet and oily hands. There is also a Face Unlock option, which isn't secure and can be unlocked using an image as well. Camera: Since the last couple of years, Honor has been doing an amazing job with the camera optics in its smartphones and the Honor 10 is no different. The dual camera setup at the rear (24-megapixel and 16-megapixel) offers great imaging capabilities including automatic mode detection and capturing depth images too. There is an AI setting within the default photo mode, which when turned on, detects the subject and adjusts the camera settings automatically. For instance, it recognized flower, text, face and more. While most of the time it worked perfectly, there were instances when I had to turn off the AI setting. The Portrait mode designed for capturing human faces comes fully loaded. I was able to disable bokeh, select from the 3D modes like stage lighting, butterfly lighting, and even use the beautification feature for removing blemishes and marks from the skin, all at the same time. Interestingly, there is a separate aperture mode for capturing depth images, which works well with human faces and subjects alike. I was able to switch between the aperture 0.95 to 16 and the background depth adjusted in real time. Post image capture in aperture mode, I was able to change the focus and blur the rest. Honor offers a plenty of other modes including night shot, panorama, HDR, watermark, artist mode but some of my favourites were monochrome with multiple settings and light painting. While all these work well for an amateur, there is also a Pro mode for manual settings for anyone with even a little know-how about camera settings. Overall, the images were sharp with fine details and natural colours. Without much effort, I was able to capture some stunning images. However, low light photography was just about average as some of the images were soft and noisy. For selfies, there is a 24-megapixel sensor and the Portrait mode gives access to the same options including turning on/off bokeh, beautification and 3D modes. But I preferred capturing images in the regular mode with bokeh effect turned on. UI and Performance: Just like the other flagship smartphones from Huawei and Honor stable, even the 10 is powered by octa-core HiSilicon Kirin 970 processor with a neural processing unit, which brings artificial intelligence to the table. For instance, it reduces background noise during calls and brings AI features to the camera. Paired with 6GB of RAM, the phone has 128GB of internal storage. There isn't much to complain about the performance. I played Battle Warship on the Honor 10 for prolonged hours and there wasn't frame loss or lag while playing this game. Streaming YouTube videos, shooting videos and uploading them on social media accounts, along with extensive use of the camera, web browser, calling and other apps, it handled everything with ease. But the rear top of the phone (near camera module) started to get warm after a few minutes of camera usage. Running EMUI based on Android 8.1.0, all the apps were placed across homescreen, swiping left from the home page showed a Google dashboard page with the search bar, feeds, news and more, and long pressing the home button launched Google Assistant. It also supports knuckle gestures - for instance, drawing the line across the screen using the knuckle entered into split-screen and captured a smart screenshot when I drew a circle. There is also an IR remote app - Smart Controller - for controlling appliances with the phone but it failed to work with the Llyod and LG AC I tried using it with. Some of the preinstalled apps include Truecaller, Netflix, UC Browser, Instagram, Translator, and more. 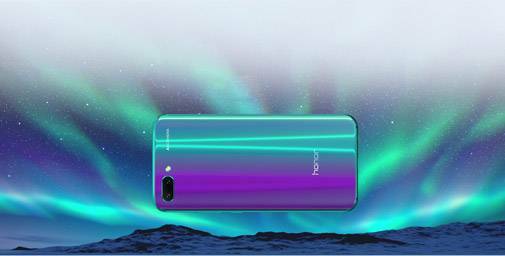 Battery: Honor 10 packs in a 3400 mAh battery and supports fast charging. A full charge with extensive use easily lasted me a day with brightness tuned to auto and vibration turned off. Verdict: Not just good-looking, the Honor 10 scores in camera as well as the performance department. Giving tough competition to the OnePlus 6, the Honor 10 for Rs 32,999 is a stellar device.